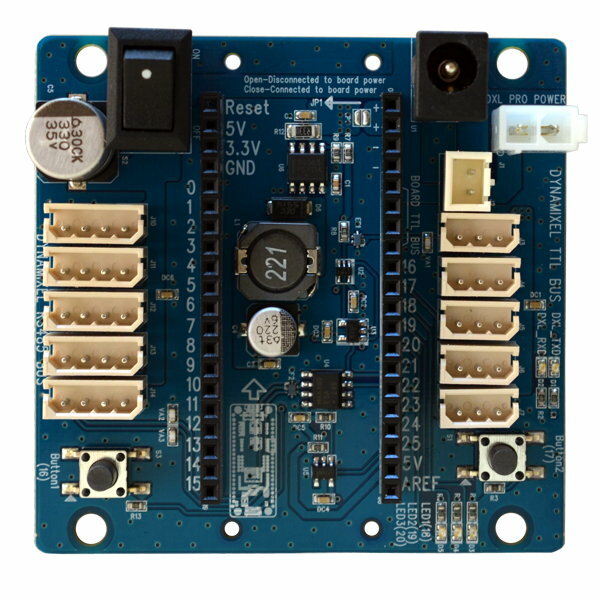 Expand the power of your OpenCM 9.04 microcontroller with the OpenCM 485 Expansion Board. 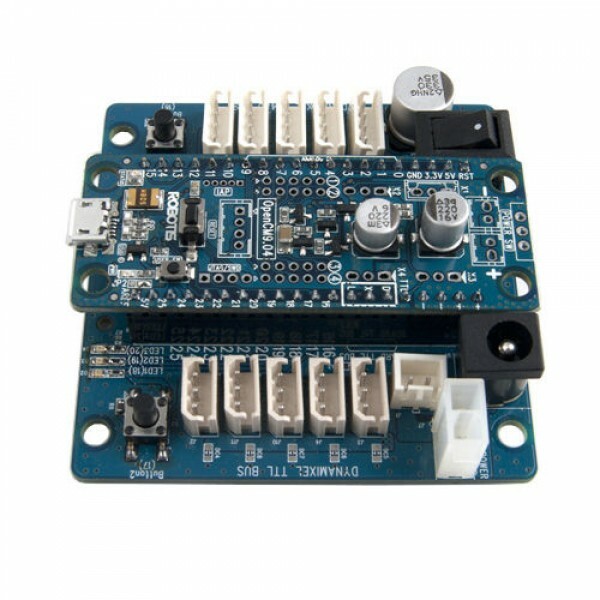 The OpenCM 485 Expansion Board provides a set of extra Dynamixel smart servo connectors, a few buttons and LEDs and various power supply input options to expand the capabilities of your OpenCM 9.04 microcontroller. A built in Dynamixel smart servo expansion hub includes five 4 pin Dynamixel RS-485 connectors and five 3 pin Dynamixel TTL connectors. Each smart servo connector supports full Dynamixel daisy chaining to drive a large number of smart servo actuators. Power inputs include connectors for a LIPO battery, Dynamixel Pro 24V power supply and an SMPS DC adapter. A power switch is also provided. A set of 2 push buttons and 3 LED indicators provide additional user I/O for your robot application. 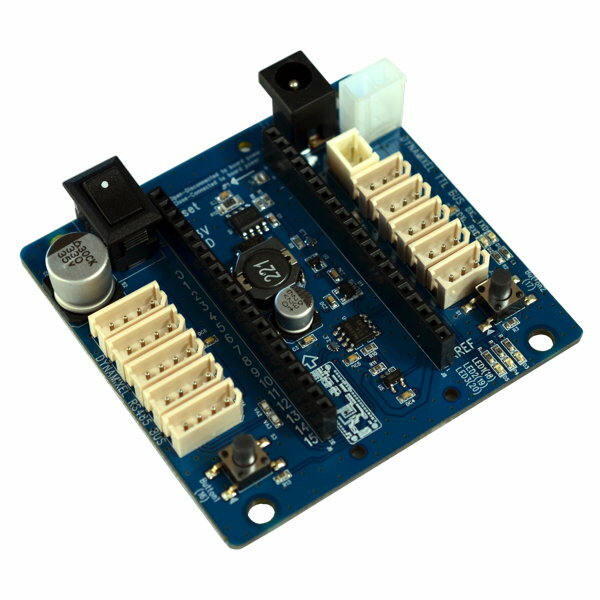 This expansion board is compatible with all OpenCM 9.04 microcontroller boards.